Suppose you were playing a game of dodgeball. Not the typical game of dodgeball where you are part of a team trying to dodge throws from your opponents while trying to hit them out in return. This game involves you standing motionless against a wall while the other team tries to throw balls at your head. You are not allowed to move out of the way. The good news is your opponents are generally lousy shots. Most of what’s thrown doesn’t even come close to your head. The bad news is your opponents have a large number of balls to throw your way. You figure eventually you will get hit in the face, but you’d like to avoid getting hit if you can. As the game progresses you start to get pretty good at determining where balls are heading. If you measure things in terms of the width of your head, then early on you can tell where a particular ball might hit to within a dozen head widths. As an object gets closer you can narrow that down to the width of your head, and eventually to within the width of a finger or less. That being the case, you aren’t likely to worry much about a ball heading for a point 50 head widths from you. A ball heading for a point 5 head widths away might make you a bit nervous, but that’s still several feet from your face, which in dodgeball isn’t that close. You’re concerned about a ball coming within a head width, because that one might actually hit you. While this is a pretty ridiculous game, it’s similar to the way we track objects that might hit Earth. 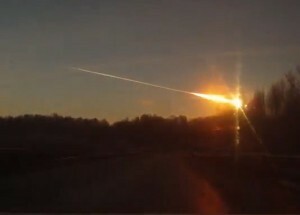 We can’t move Earth out of the way, all we can do is track asteroids to see if any might be heading our way. Just as we measured distances in the game in terms of head-widths, we can measure the distances of close approaching asteroids in terms of Earth widths. 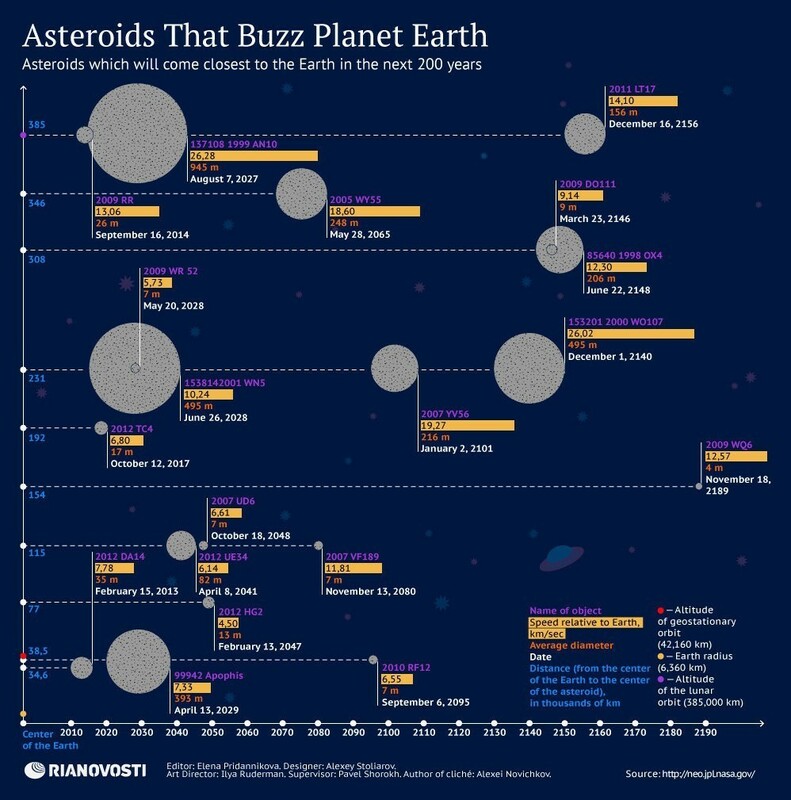 You can see a figure of known asteroids and their predicted distances of closest approach above. None of them seem to be heading toward us, and even the closest ones, such as Apophis, will only get within 3 Earth-widths of us. That’s a bit close, but doesn’t have any real chance of hitting us. 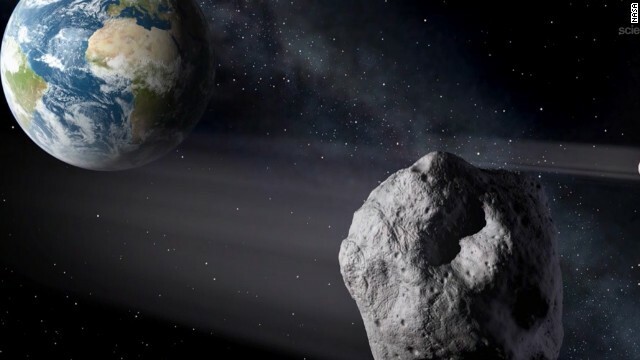 Every now and then you hear about a small asteroid that comes within the Moon’s distance of Earth, which seems close until you realize the Moon is about 20 Earth-widths away from us. An asteroid at that distance is close on cosmic scales, but not dangerous. This doesn’t mean there is zero chance of an asteroid hitting us. Large asteroids have hit Earth in the past, and they will hit Earth in the future. But the risk on the scale of human lifetimes is incredibly small.